April 12, 2019 – Spring 2019 graduation ceremonies are right around the corner! Santa Fe College needs your help to make the nurse’s pinning/graduation and the A.A./A.S./A.A.S./bachelor’s graduation ceremonies the best yet. The nurse’s pinning/graduation is Thursday, May 2, 2019, at 5 p.m. 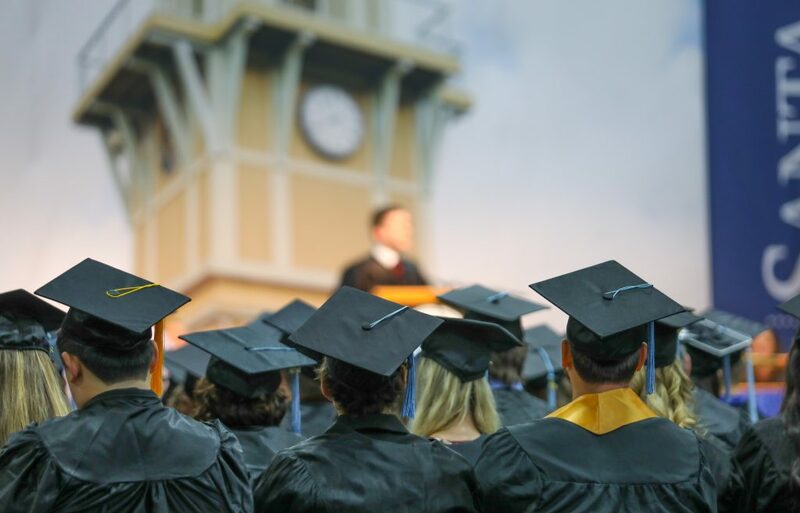 The bachelor’s/A.S./Certificate graduation is Friday, May 3, 2019, at 3 p.m. and the A.A. ceremony is Friday, May 3, 2019, at 7 p.m. All ceremonies will be held in the gym. If you would like to volunteer for the Friday, May 3, ceremonies to hand out programs, greet at the doors, assist with crowd control, serve refreshments, etc., email Doug Bagby or Clarinda Choice at doug.bagby@sfcollege.edu or clarinda.choice@sfcollege.edu for more information. Please indicate which ceremony or ceremonies you are interested in working. There is a volunteer walkthrough Wednesday, May 1, at 11 a.m. in the gym. If you have never attended a walkthrough before, it is highly recommended, as very important information is given out. We are also looking for two volunteers to assist the Santa Fe College Police Department with transporting guests with special needs from their cars to the gym in golf carts. If you are interested, call Chief Ed Book at 352-395-5883 or Capt. Ryan Woods at 352-395-5920 for more information. Must be golf cart certified. The deadline to sign up is Friday, April 26.